Sometimes the smallest details make a big difference to an experience. 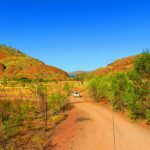 This is certainly the case for camping adventures where seemingly insignificant oversights can tarnish your level of enjoyment. Here are some camping tools and accessories that can have a huge impact on camping efficiency and comfort and should always feature on a trip checklist. 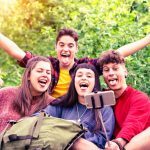 These simple tools will help to minimise frustration and inconvenience and ensure that your camping adventures are filled with carefree fun. 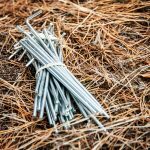 A mallet or hammer is essential for pinning tent pegs into hard ground. Although pegs slide easily into soft soil, for solid clay or rocky aggregate a hammer tool is critical. Some campers prefer a mallet, but I think a hammer is advantageous, especially when it’s time to pack up camp. The hammer’s claw is very handy for quickly and efficiently hooking and pulling pegs out of hard ground. Tip: Purchase a cheap hammer and store it with your tent. The stock standard pegs that are usually packaged into brand new tents are often most suitable for soft sediments. 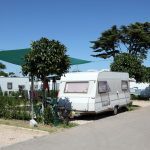 In the real world, camping grounds are regularly hard, dry, and difficult to pierce. Pegs that bend under the slightest pressure are frustrating. These bent and twisted pegs become useless for future trips and steadily your peg count declines. I highly recommend purchasing heavy gauge pegs that resist bending and penetrate the toughest earth. Tip: Upgrade to heavy duty tent pegs and never deal with flimsy metal ever again. I’m about as flexible as a giraffe in a hobbit’s house. I always blame the fact that my bones grew much too quick and that my muscles couldn’t keep pace. I ended up an upright, rigid ironing board with an inability to sit on the ground either cross-legged or in any remotely comfortable form. Camping chairs are critical for people like me. They are cheap, easy to pack, and they make life on a campsite infinitely more pleasant. A torch or lantern is a simple but incredibly useful camp tool that is worth its weight in gold. 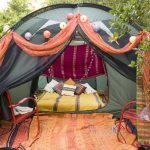 This is especially the case in the cooler months when the sun sets early and there are several hours of darkness before campers retreat into tents. We take light for granted, but it isn’t until you’re trying to navigate to a toilet, find a pair of keys, or prepare a meal in the dark, that you realise how critical light is to a camping trip. Keep in mind that many mobile phones possess a torch or light feature and can be a life saver if you forget a dedicated torch. Head lamps are also very handy and free up your hands but they also act as an insect magnet that invites a bug party directly to your face. Tip: Add a central lantern to the campsite and ensure that all campers have a small hand held or head torch for navigating in the dark. An esky is a wonderful storage accessory to keep drinks cold and food fresh. Modern iceboxes are incredibly well insulated and maintain frozen ice for several days with minimal opening of the lid. Ice cold drinks provide a refreshing and pleasant break from the heat, especially in summer months. Block style iceboxes are also rigid in design and double as an extra camp seat. Tip: Block ice has less surface area and interface with the surrounding air than a bag of ice cubes and will remain frozen for longer. 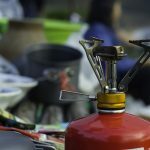 These basic tools and accessories might seem like common sense items, but they are among the most easily overlooked tools for an impromptu or short camping trip. The little things count, so make sure you add these items to your camping checklist to ensure that your camping adventures are pleasant and carefree experiences.